Remember Minuum, the keyboard for “delightfully fast sloppy typing” that took off as an Indiegogo campaign back in March? It will finally be available tomorrow as a beta for backers of the project. The Minuum team sent out an email confirmation moments ago, detailing the beta test taking place through Google Play, which we would also assumes means through a Google+ group or community. For those not familiar, Minuum takes the traditional smartphone keyboard and squashes it into a single row. It still carries the traditional QWERTY layout, it just does so without taking up screen real estate. And that’s potentially the beauty here – you get to type as you normally would thanks to a “specialized auto-correction algorithm that allows highly imprecise typing,” without hopefully having to re-learn how to type or without sacrificing precious screen space. 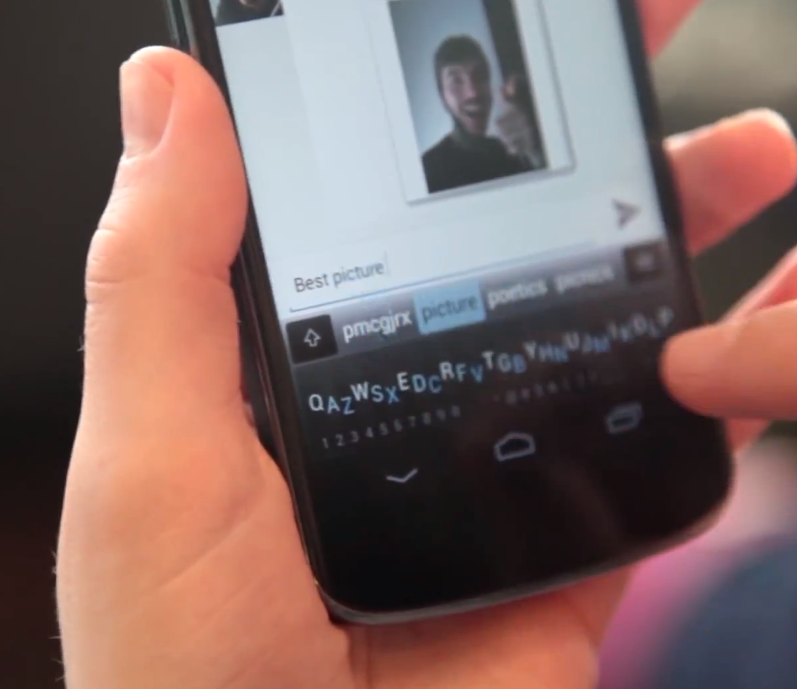 It allows you to type fast, with what we are hoping to be an impressive autocorrection engine inside. It should also work on tablets (eventually), and be resizable depending on the use case. But taking use cases a step further, the Minuum team expects to make their technology available to typing experiences outside of phones and tablets. We’re talking about using your arm, finger, or piece of paper as a potential keyboard. The video below dives deeper into that. For now, make sure your Minuum confirmation email hasn’t found its way into your spam folder. Also, make sure the email they used is the same as the email you use for Google Play, so that you can download the beta when it goes live. The wait is over—exactly two months after the closing of our campaign, we’re releasing the Minuum beta to you TOMORROW, June 18, 2013. Tomorrow, you will be invited to a Google Group for Minuum beta users. Once you join the group, you’ll be able to download the Minuum beta for Android through the Google Play Store. Only members of our Google Group for Minuum beta users will be able to download the beta trough the Play Store. You must join the Google Group with the same account you use in the Google Play Store with your Android device. If you have an Android device, you should have a Google Play Store account. If this email address is the same one that’s associated with your Google Play Store account, then you don’t have to email us back—you’ll simply receive an invitationtomorrow to join the Google Group for beta users. However, if the email address that’s associated with your Google Play Store account is different from this one, please reply to this email ASAP with your Google Play Store email address. To check your Play Store email, go to the Play Store app on your device, select the menu in the top right and click on “Accounts.” This should tell you what email address is associated with your Play Store account. If you’re giving your beta access away to a family member or a friend instead, please email us their Google Play Store account email address.